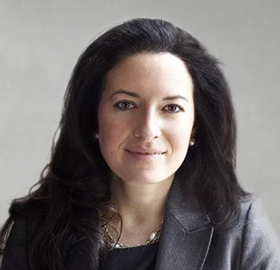 Avigail Dadone serves as Chief People Officer for Diligent Corporation. Avi previously worked at Bloomberg LP where she served more than seven years in various HR roles, most recently as Regional Head of HR for the Americas. Over this time, she worked across diverse businesses designing, implementing, and measuring talent strategies. She led hallmark acquisition efforts, had oversight for enterprise policies and programs in the region, was deeply involved in HR strategy for Latin America and had responsibility for establishing the employee relations function. Prior to her role at Bloomberg, Avi worked at Exelon Corporation for over five years in the fossil, wires and nuclear businesses, where she built a strong foundation in talent management, labor relations, employee engagement and organizational change management. Avi graduated from Boston University with a Bachelor of Science in Business Administration. She holds the HR Certification Institute designation of Senior Professional in Human Resources (SPHR). Avi is actively involved in The New York Junior League and focuses her time there working with community-based organizations.